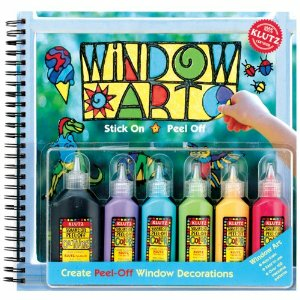 Choose your design, trace the outline with the black paint, squirt in your choice of colored paints, peel it, and stick it to a glass window. Easy-peasy. Comes with 6 different colors.